Watch the video above to see an interview with Doug Hatch prior to his exhibition, Urban Landscapes. Doug Hatch is best known for his realistic paintings of urban scenes. 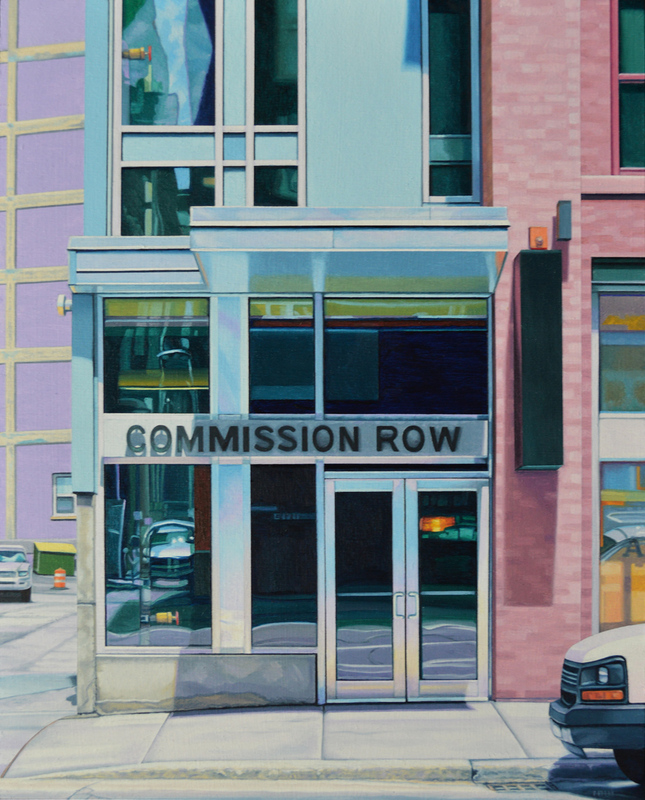 Working in his studio from photographs, Hatch employs traditional methods of photorealism using strong diagonals, reflected surfaces, and transparent components to elucidate vibrant street scenes. Influenced by Edward Hopper and Richard Estes, Hatch is particularly interested in interpreting daily life. Vibrant, detail oriented and filled with movement, the paintings of Doug Hatch capture a place and time of day, perfectly. “The urban landscape, is always in flux, lit up; the constant changeling. Reinventing itself or sometimes just making do by hanging on, is what keeps it fresh, alluring, and worthy of capturing in all its simple complexities,” says Hatch. Hatch studied art at the University of Wisconsin - Fond du Lac and the Milwaukee Institute of Art and Design. His Wisconsin exhibitions include the Sharon Lynne Wilson Center for the Arts, the Overture Center for the Arts, and the James Watrous Gallery at the Wisconsin Academy. His paintings are in many corporate and private collections across the country.